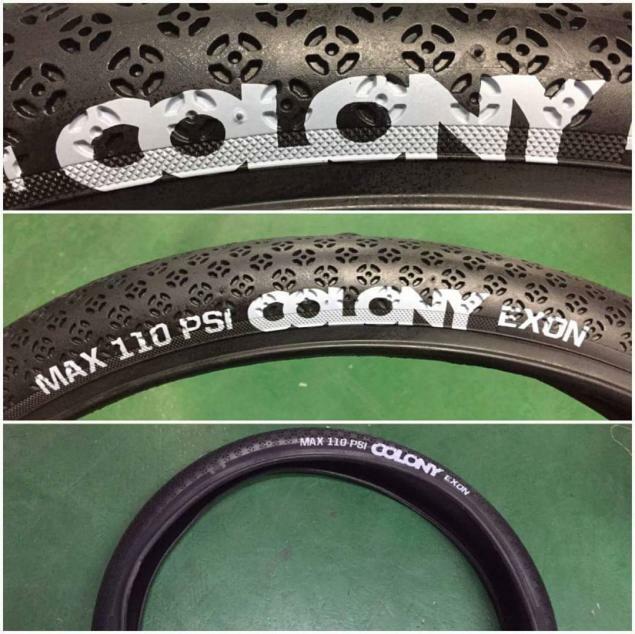 @flataustralia posted a photo of the new Colony Exon flatland tires. As you can clearly see the maximum pressure is 110 PSI and there was probably no way to write that even bigger ;-) They come as 20 x 1.75 and should be a great addition to the Colony Exon flatland range. More details are yet to be announced.